Organic contamination of groundwater is a major concern in China. However, remediation technology for groundwater contamination to address the potential harm and danger brought by the above-mentioned serious issue is still in the research stage. This study aims to improve the current research findings. 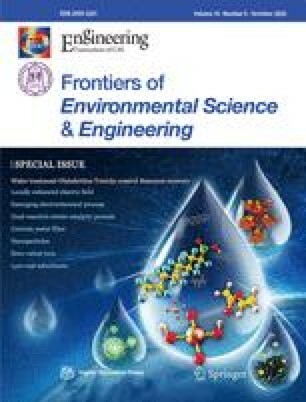 In the research project, drilling, soil, and groundwater sampling and analysis were conducted in a contamination site of a petrochemical plant, migration of contaminants to the river was predicted using a numerical model, the sequence permeable reactive barrier (PRB) for treating nitrobenzene (NB) and benzene was proposed, and simulation was carried out. Research findings demonstrated that three leaking locations had been identified in the plant, the major pollutants were NB and benzene, and the groundwater contamination area was around 640000 m2. Computation results of the numerical model indicated that, in the worst case, the groundwater plume would reach the river after migration for nearly 9 years, which would endanger the safety of surface water supply. 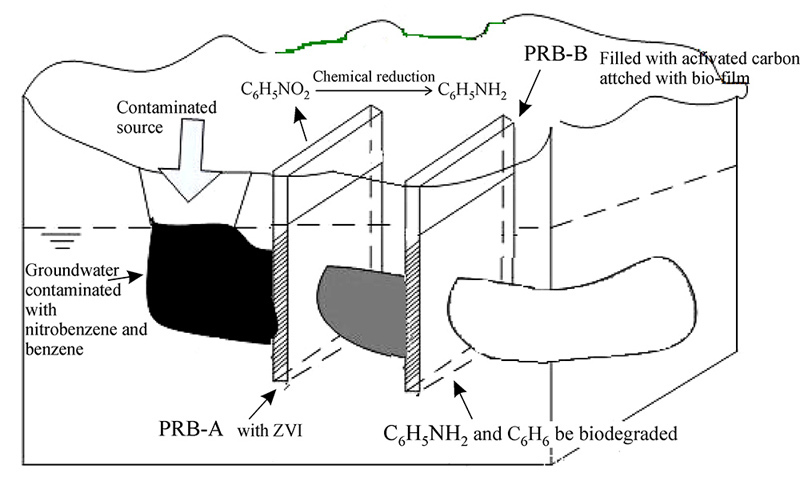 Furthermore, the two- PRB system with the filling of zero-valent iron (ZVI) and granular activated carbon attached with biofilm exerted strong remediation effects. Experimental results indicated that ZVI could transform NB to aniline effectively with a rate of approximately 93%. Meanwhile, aniline, benzene, and other organic pollutants could easily be biodegraded. The authors are grateful for the support from the Key Project of National Natural Science Foundation of China (Grant No. 41530636) and the State-Local Joint Engineering Laboratory for Control and Remediation Technologies of Petrochemical Contaminated Site.